Just to confirm, were you looking to make a network search or to change the carrier? Normally there should not be anything preventing you from searching for a network though it may not be possible to change the carrier. Also, have you tried to reset your network settings? Normally if our network is not available you'll automatically go on the extended network if it is available to use. Were you able to sort this out? In addition to Pamela's answer, normally a full restore of the phone through iTunes will fix the issue. This is gone now after iOS 12 update. Are you saying the menu should still be there? I already restored a few weeks ago due to the phone not being able to pickup ANY signal, are you saying I need to wipe and restore my phone AGAIN? Apple Store blamed this on Rogers/Fido firmware specific issue (eg. carrier update). Who's working on a permanent fix for this, Rogers/Fido ? @cody_w is correct...after updating my iPhone to iOS 12, the "Carrier" tab under Settings is gone. After installing iOS 12, I was also prompted to Update Carrier Settings. I can confirm this issue only started after upgrading to iOS 12 last week. Hi I’m having the exact same issue. It’s not an iOS issue as the carrier settings have only simply been moved to the cellular tab. However, it appears it is only FIDO that doesn’t have the option available. Multiple friends on different networks still have the ability to manually choose the carrier, but everyone with Fido does not. This is a pretty big deal as I’ve been charged multiple times for roam like home while in Canada close to the border or in remote areas of the country. I got charged a roam like home yesterday in the states where my phone surprisingly connected to a us network even though I originally has the automatic connection setting turned off before it unknowingly dissapeared. Hi Fido reps, is it possible for you to bump this issue up to engineering and get me a case #? We can help you escalate the matter to the technical team! But tell me, were you able to resolve the issue with a network settings reset? No, a network setting reset does not correct the issue. I'm thinking, as per a comment from someone above, that Apple decided to move around the menu, and the latest carrier update from Fido didn't take it into consideration, so the menu is inadvertantly hidden for all iOS 12 users. A co-worker with iOS 12 on an iPhone X has the same problem as well. Carrier selection menu is gone! 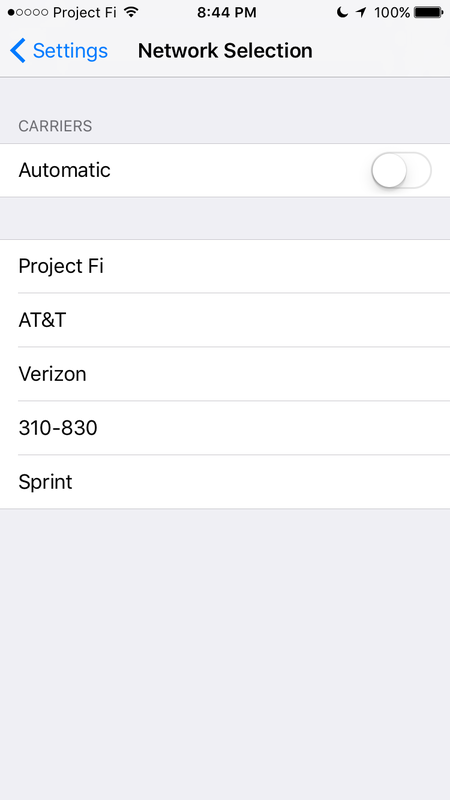 No way to manually change carriers to Fido-EXT. My issue is, in my neighbourhood at home sometimes I get weaker 3G coverage. The odd time I need to manually toggle to a Fido-EXT network which offers LTE. I can't do this anymore after iOS 12. Let's open a ticket in your account @cody_w! Sending you a PM right now. Facing the same issue. Just wasted a few hours with tech support through messenger....they would not escalate the issue even though I have two iphones now both at IOS 12 updated carrier settings with same missing carrier option. Will see if Fido corrects this week else will move to other carrier (on bring your own phone plan) as again live right on the border and need to manually and easily control voice roaming. Hi FidoRachel, didn’t get a private message from you! Can you let me know what’s going on. This is obviously a serious issue for iOS12 users. That needs immediate attention. We don’t have exact timing to share but we are working to enable this feature in iOS12 later this year. To ensure the best experience we always recommend using the automatic setting on your device. The automatic setting will connect you to another network when you enter an extended coverage area, and will quickly return to our network when you’re back. You will still be able to manually select the network when roaming outside of Canada. Thanks for the update, but I beg do differ on your comments. The "best experience" would be to allow us to manually pick an alternate network when the phone automatically drops us down to 3G coverage. Lets face the truth, out here in BC, Fido has a lot of 3G coverage spots that are well covered by the other big 2 carriers on their LTE network. So "best experience" would be to allow us to toggle carriers, like all the other carriers currently allow us to do. This looks to be an oversight on Fido's part with your last carrier update that came out to support iOS 12. Someone forgot to notice the Carrier menu moved and didn't make the necessary changes in the carrier update.